Mai Y, Zhang Z., & Wen Z. * (2018). Comparing exploratory structural equation modeling and existing approaches for multiple regression with latent variables. Structural Equation Modeling, 25(5), 737–749. Fu, Y., Wen, Z. *, & Wang, Y. (2018). The Total Score with Maximal Reliability and Maximal Criterion Validity: An Illustration Using a Career Satisfaction Measure. Educational and Psychological Measurement, 78(6), 1108–1122. Wang, Y., Wen, Z. *, Fu, Y., & Zheng, L. (2017). Psychometric properties of a Chinese version of the measure of empathy and sympathy. Personality and Individual Differences, 119, 168–174. Chen, Y., Wen, Z. *, & Ye, M. (2017). Exploring profiles of work regulatory focus: A person-centered approach. Personality and Individual Differences, 116, 16–21. Gu, H., Wen, Z. *, & Fan, X. (2017). Examining and controlling for wording effect in a self-report measure: A monte carlo simulation study. Structural Equation Modeling, 24(4), 545–555. Scalas, L. F., Marsh, H. W., Vispoel, W., Morin, A. J., & Wen, Z. (2017). Music self-concept and self-esteem formation in adolescence: A comparison between individual and normative models of Importance. Psychology of Music, 45(6), 763–780. Gu, H., Wen, Z. *, & Fan, X. (2017). Structural validity of the Machiavellian Personality Scale: A bifactor exploratory structural equation modeling approach. Personality and Individual Differences, 105, 116-123. Morin, A. J., Scalas, L. F., Vispoel, W., Marsh, H. W., & Wen, Z. (2016). The Music Self-Perception Inventory: Development of a short form. Psychology of Music, 44(5), 915–934. Chen, Y., Wen, Z. *, Peng, J., & Liu, X. (2016). Leader-follower congruence in loneliness, LMX and turnover intention. Journal of Managerial Psychology, 31(4), 864-879. Wen, Z., & Fan, X. (2015). Monotonicity of effect sizes: Questioning kappa-squared as mediation effect size measure. Psychological Methods, 20(2), 193–203. Gu, H., Wen, Z. *, & Fan, X. (2015). The Impact of Wording Effect on Reliability and Validity of the Core Self-Evaluation Scale (CSES): A Bi-factor Perspective. Personality and Individual Difference, 83, 142–147. Wen, Z., Marsh, H. W., Hau, K. T., Wu, Y., Liu, H., & Morin, A. J. S. (2014). Interaction effects in latent growth models: Evaluation of alternative estimation approaches. Structural Equation Modeling (SCI, SSCI), 21(3), 361–374. Li, B., Wu, Y., Wen, Z., & Wang, M. (2014). Adolescent Student Burnout Inventory in Mainland China: Measurement Invariance Across Gender and Educational Track. Journal of Psychoeducational Assessment, 32(3), 227–235. Wu, Y., Wen, Z. *, Marsh, H. W., Hau, K. T. (2013). A comparison of strategies for forming product indicators for unequal numbers of items in structural equation models of latent interactions. Structural Equation Modeling (SCI, SSCI), 20(4), 551–567. Wen, Z., Marsh, H. W., Marsh, & Hau, K. T. (2010). Structural equation models of latent interactions: an appropriate standardized solution and its scale-free properties. Structural Equation Modeling (SCI, SSCI), 17(1), 1–22. Lin, G.-C., Wen, Z. *, & Marsh, H. W. (2010). Structural equation models of latent interactions: Clarification of orthogonalizing and double-mean-centering strategies. Structural Equation Modeling (SCI, CCSI), 17(3), 374–391. Marsh, H. W., Wen, Z. *, Hau, K. T., Little, T. D., Bovaird, J. A., & Widaman, K. F. (2007). Unconstrained structural equation models of latent interactions: Contrasting residual-and mean-centered approaches. Structural Equation Modeling(SCI, SSCI), 14(4), 570–580. Chang, L., Liu, H., Fung, K.Y., Wang, Y., Wen, Z., Li, H., & Farver, J. (2007). The mediating and moderating effects of teacher preference on the relations between students’ social behaviors and peer acceptance. Merrill-Palmer Quarterly(SSCI), 53(4), 603–630. Chang L., Liu H., & Wen, Z. (2005). Longitudinal data analyses: How to abstract developmental variations. International Society for the Study of Behavioural Development (SSCI), 29(6), 14–16. Marsh, H. W., Wen, Z., & Hau, K. T. (2004). Structural equation models of latent interactions: evaluation of alternative estimation strategies and indicator construction. Psychological Methods (SSCI), 9(3), 275–300. Marsh, H. W., Hau, K. T., & Wen, Z. (2004). In search of golden rules: Comment on hypothesis testing approaches to setting cutoff values for fit indexes and dangers in overgeneralising Hu & Bentler (1999) findings. Structural Equation Modeling (SCI, SSCI), 11(3), 320–341. Chang L, Liu H, Wen Z., Fung K, Wang Y, Xu Y. (2004). Mediating teacher liking and moderating authoritative teachering on Chinese adolescents' perceptions of antisocial and prosocial behaviors. Journal of Educational Psychology (SSCI), 96(2), 369–380. Wen, Z., Marsh, H. W., & Hau, K.T. (2002). Interaction effects in growth modeling: A full model. Structural Equation Modeling (SCI, SSCI), 9(1), 20–39. 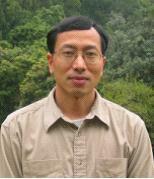 Zheng, X. & Wen, Z. (1998). Minimax theorem and saddle point theorem without linear structure, Applied Mathematics and Mechanics (SCI), 19(4), 375–380. 方杰, 温忠麟. (2018). 三类多层中介效应分析方法比较. 心理科学, 41(4), 962-967. 高洁, 林燕滢，崔佳，温忠麟. (2018). 未来工作自我清晰度对主动职业行为的影响. 心理学探新, 38(5), 475-480. 王阳, 温忠麟. (2018). 基于两水平被试内设计的中介效应分析方法. 心理科学, 41(5), 1233-1239. 方杰, 温忠麟, 吴艳. (2018). 基于结构方程模型的多层调节效应. 心理科学进展,26(5), 781-788. 温忠麟, 黄彬彬, 汤丹丹. (2018). 问卷数据建模前传. 心理科学, 41(1), 204–210. 王阳，王才康，温忠麟，肖婉婷. (2017). 共情与同情量表在中国幼儿教师样本中的效度和信度. 中国临床心理学杂志，25(6), 1027-1030. 温忠麟. (2017). 新高考选考科目计分方式探讨. 中国考试, (12), 23–29. 顾红磊, 温忠麟*. (2017). 多维测验分数的报告与解释：基于双因子模型的视角. 心理发展与教育, 33(4), 504–512. 杨明, 温忠麟*, 陈宇帅. (2017). 职业胜任力在工作要求-资源模型中的调节和中介作用. 心理科学，40(4)，822–829. 方杰, 温忠麟, 张敏强. (2017). 类别变量的中介效应分析. 心理科学, 40(2), 471–477. 温忠麟. (2017). 实证研究中的因果推理与分析. 心理科学, 40(1), 200–208. 温忠麟, 范息涛, 叶宝娟, 陈宇帅. (2016). 从效应量应有的性质看中介效应量的合理性. 心理学报, 48(4), 435–443. 吕惠聪, 温忠麟*, 邓家毓, 陈启山. (2015). 职场孤独感的前因与后果. 心理科学, 38(4), 979-986. 陈宇帅，温忠麟*，顾红磊. (2015). 因子混合模型：潜在类别分析与因子分析的整合. 心理科学进展, 23 (3), 529–538. 方杰，温忠麟，梁东梅，李霓霓. (2015). 基于多元回归的调节效应分析. 心理科学, 38(3), 715–720. 周爽, 陈启山, 温忠麟*, 邵辉. (2015). 人才甄选中的人格测验作假研究的深入与拓展. 心理科学, 38(2), 490–495. 温忠麟, 叶宝娟. (2014). 有调节的中介模型检验方法：竞争还是替补？心理学报, 46(5), 714–726. 温忠麟, 叶宝娟. (2014). 中介效应分析：方法和模型发展. 心理科学进展, 22(5), 731–745. 顾红磊, 温忠麟*. (2014). 项目表述效应对自陈量表信效度的影响——以核心自我评价量表为例. 心理科学, 37(5), 1245-1252. 顾红磊, 温忠麟*, 方杰. (2014). 双因子模型：多维构念测量的新视角. 心理科学, 37(4), 973–979. 吴艳, 温忠麟*, 李碧. (2014). 潜变量交互效应模型标准化估计中的检验问题.心理学探新, 34 (3), 260–264. 方杰, 温忠麟, 张敏强, 孙配贞. (2014). 基于结构方程模型的多重中介效应分析. 心理科学, 37 (3), 735–741. 方杰, 温忠麟, 张敏强, 任皓. (2014). 基于结构方程模型的多层中介效应. 心理科学进展, 22(3), 530–539. 任皓, 陈启山, 温忠麟*，叶宝娟, 苗静宇. (2014). 领导职业支持对组织公民行为的影响: 心理资本的作用. 心理科学, 37(2), 433–437. 温忠麟. (2014). 高考改革：政策公平性与技术相容性. 全球教育展望，(2), 4–14. 叶宝娟，温忠麟*，胡竹菁. (2013). 单维测验合成信度元分析.心理科学, 36 (6), 1464-1469. 温忠麟, 吴艳, 侯杰泰. (2013). 潜变量交互效应结构方程：分布分析方法. 心理学探新， 33 (5), 409–414. 叶宝娟, 温忠麟*. (2013). 有中介的调节模型检验方法：甄别和整合. 心理学报, 45 (9), 1050–1060. 麦玉娇, 温忠麟*. (2013). 探索性结构方程建模(ESEM)：EFA和CFA 的整合. 心理科学进展, 21(5), 934–939. 叶宝娟，温忠麟*，杨强. (2013). 气质和教养方式对青少年病理性网络的影响：独特与交互效应检验. 心理科学, 36(5), 1066–1072. 任皓, 温忠麟*, 陈启山. (2013). 心理资本对企业员工职业成功的影响：职业承诺的中介效应. 心理科学, 36(4), 960–964. 叶宝娟, 温忠麟*. (2013). 两水平研究中单维测验信度的估计. 心理科学, 36(3), 728–733. 叶宝娟, 温忠麟*. (2013). 系数的区间估计方法比较. 心理科学, 36(1), 216–223. 任皓, 温忠麟*, 陈启山, 叶宝娟. (2013). 工作团队领导心理资本对成员组织公民行为的影响机制：多层次模型. 心理学报, 45(1), 82–93. 叶宝娟, 温忠麟*. (2012). 测验同质性系数及其区间估计. 心理学报, 44(12), 1687–1694. 温忠麟, 罗冠中. (2012). 模块化科目考试的分数转换——以香港中学文凭考试为例. 中国考试, (9), 3–8. 吴艳, 温忠麟*. (2011). 结构方程建模中的题目打包策略. 心理科学进展, 19(12), 1859–1867. 郑昊敏, 温忠麟*, 吴艳. (2011). 心理学常用效果量的选用与计算. 心理科学进展. 19(12), 1868–1878. 吴艳, 温忠麟*, 侯杰泰, Marsh. (2011). 无均值结构的潜变量交互效应模型的标准化估计. 心理学报, 43(10), 1219–1228. 温忠麟, 叶宝娟. (2011). 测验信度估计：从α系数到内部一致性信度. 心理学报, 43(7), 821–829. 林冠群, 温忠麟*, Marsh, 林惠贤. (2011). 正交化无限制潜在交互效果模式之修正策略的评估. 测验学刊, 58(1), 29-54. 叶宝娟, 温忠麟*. (2011). 单维测验合成信度三种区间估计的比较. 心理学报,43(4), 453–461. 吴艳, 温忠麟*. (2011). 与零假设检验有关的统计分析流程. 心理科学, 34(1), 230–234. 温忠麟，罗冠中. (2010). 高考分数的转换、校准和合成. 中国考试, (11), 9–16. 温忠麟, 吴艳. (2010). 潜变量交互效应建模演变与简化. 心理科学进展, 18(8), 1306–1313. 陈启山，温忠麟. (2010). 印象整饰和心理控制源对组织公民行为的影响. 心理科学, 33(5),1270–1272. 陈启山，温忠麟. (2010). 印象整饰和心理控制源对组织逢迎行为的效应. 心理科学, 33(3), 741–743. 陈启山，温忠麟. (2010). 元认知与有效学习：原理与条件. 华东师范大学学报(教育科学版)， 28(1), 53–59. 吴艳, 戴晓阳, 温忠麟*, 崔汉卿. (2010). 青少年学习倦怠量表的编制. 中国临床心理学杂志, 18(2),152–154. 温忠麟, 吴艳. (2010). 屡遭误用和错批的心理统计. 华南师范大学学报（社科版）, (1), 47–54. 吴艳, 温忠麟*, 林冠群. (2009). 潜变量交互效应建模：告别均值结构. 心理学报, 41(12), 1252–1259. 温忠麟, 侯杰泰, Marsh. (2008). 结构方程模型中调节效应的标准化估计. 心理学报, 40(6), 729–736. 温忠麟, 罗冠中. (2008). 高考方案：考试方式与计分方式. 中国考试, (3), 3–8. 温忠麟, 侯杰泰. (2008). 检验的临界值：真伪差距多大才能辨别？心理学报, 40(1), 119–124. 王燕, 张雷, 张韫, 温忠麟. (2007). 自我概念在父母专制型教养风格与儿童社会行为之间的中介效应. 应用心理学, 13(1), 44–49. 陈衍辉, 温忠麟. (2007). 香港“大学联合招生办法”及其启示. 考试研究, 3(2), 101–109. 温忠麟, 罗冠中. (2006). 高考“3+X”分数转换和总分合成方法. 考试研究, 2(3), 41–52. 温忠麟, 张雷, 侯杰泰. (2006). 有中介的调节和有调节的中介. 心理学报, 38(3), 448–452. 陈启山, 年承涛, 温忠麟. (2005). 印象整饰与内隐态度效应. 心理科学, 28(3), 634–635. 余洁玉, 温忠麟. (2005). 学习不良儿童家庭资源的元分析. 心理学探新, 25(2), 65–69. 陈启山, 温忠麟. (2005). 高职大学毕业生的应付方式与心理健康的关系. 心理发展与教育, 21(2), 92–97. 温忠麟, 侯杰泰, 张雷. (2005). 调节效应和中介效应的比较和应用. 心理学报, 37(2), 268–274. 陈启山, 温忠麟. (2005). 印象整饰的测量及其在人力资源管理中的应用. 心理科学, 28(1), 178–179. 温忠麟, 张雷, 侯杰泰, 刘红云. (2004). 中介效应检验程序及其应用. 心理学报, 36(5), 614–620. 温忠麟, 侯杰泰, 王桂祥, 何以建. (2004). 职中和高中学生的自我概念与内外参照模型. 心理科学, 27(4), 946–948. 温忠麟, 侯杰泰. (2004). 隐变量交互效应分析方法的比较与评价. 数理统计与管理, 23(3), 37–42. 温忠麟, 侯杰泰, Marsh. (2004). 结构方程模型检验：拟合指数与卡方准则. 心理学报, 36(2), 186–194. 温忠麟, 侯杰泰, Marsh. (2003). 潜变量交互效应分析方法. 心理科学进展, 11(5), 593–599. 温忠麟, 侯杰泰. (2003). 心理测验中的趋中回归与超常分数重现概率. 心理学报, 35(3), 419-425. 温忠麟, 杨镜华. (1999). 正态线性模型中可估函数的MINIMAX估计. 数学年刊, 6. 温忠麟. 骆风. (1999). 依据高F值分类的沿海开放地区学生品德状况分析. 现代教育论丛, 5. 温忠麟. (1999). “博彩”的公平度. 统计研究, 3. 温忠麟. (1999). 从课程目的看中小学数学教学内容调整趋向. 现代教育论丛, 2. 李玉辉, 温忠麟. (1998). 英国学校地理课的复兴及其启示. 课程教材教法, 7. 温忠麟, 吴康. (1998). 初中奥班与普通班学生数学学习情况差异分析. 现代教育论丛, 5. 温忠麟. (1998). 二次损失下可估函数的线性MINIMAX估计的性质及其应用. 华南师大学报（理科版）, 3. 郑喜印,温忠麟. (1998). 没有线性结构的极大极小定理和鞍点定理. 应用数学和力学, 4. 李玉辉,温忠麟. (1998). 英国学校地理课的复兴和发展. 外国教育研究, 1. 温忠麟. (1998). 对教育实验统计检验若干问题的再探讨. 教育研究与实验, 1. 温忠麟. (1998). 应试教育压抑学生创造力之分析. 现代教育论丛, 1. Marsh, H. W., Wen, Z., Hau, K. T., & Nagengast, B. (2013) Structural equation models of latent interaction and quadratic effects. In G. R. Hancock, & R. O. Mueller (Ed.) Structural Equation Modeling: A Second Course (2nd ed.) (pp. 267–308). Charlotte, NC: Information Age Publishing. Marsh, H.W., Hau, K. T, Wen, Z., Nagengast, B., & Morin, A. J. S. (2013). Moderation. In T.D. Little (Ed. ), The Oxford Handbook of Quantitative Methods, Vol. 2 (pp. 361–386). New York: Oxford University Press. Marsh, H. W., Wen, Z., Nagengast, B., & Hau, K. T. (2012). Structural equation models of latent interaction. In R. H. Hoyle (Ed. ), Handbook of Structural Equation Modeling (pp. 436–458). New York: Guilford Press. Marsh, H. W., Wen, Z., & Hau, K. T. (2006) Structural equation models of latent interaction and quadratic effects. In G. R. Hancock, & R. O. Mueller (Ed.) Structural Equation Modeling: A Second Course (pp. 225–265). Greenwich, CT: Information Age Publishing. 温忠麟, 刘红云, 侯杰泰. (2012). 调节效应与中介效应分析. 北京：教育科学出版社. 莫雷, 温忠麟, 陈彩琦. (2007). 心理学研究方法. 广州：广东高等教育出版社. Marsh, H. W., Wen, Z., & Hau, K. T. (2006) Structural equation models of latent interaction and quadratic effects. In Hancock, G. R., & Mueller, R. O. (Eds.) Structural Equation Modeling: A Second Course (pp. 225–265). Greenwich, CT: Information Age Publishing. 侯杰泰, 温忠麟, 成子娟. (2004). 结构方程模型及其应用. 北京：教育科学出版社,. 温忠麟, 邢最智. (2001 1st , 2004 2nd). 现代教育与心理统计技术. 南京：江苏教育出版社. 王珂, 温忠麟, 孔雨柔, 杨舒婷. 员工情绪智力对员工销售绩效的影响: 心理资本与中庸思想的中介作用. 第20届全国心理学大会, 2017年11月18日, 重庆. 崔佳, 温忠麟, 吴霞云, 高洁, 杨舒婷. 军人领悟社会支持和心理弹性在反刍思维与消极应对间的作用. 第20届全国心理学大会，2017年11月18日，重庆. Wen. Z. The accuracy of school predictions of student levels in the HKDSE examination. 42th IAEA conference, Cape Town, South Africa, 22 Aug, 2016. 陈宇帅, 温忠麟. 领导-下属职场孤独感匹配对离职倾向的影响：LMX的中介作用. 第18届全国心理学大会, 2015年10月18日，天津. 杨明, 温忠麟. 心理社会安全氛围在工作要求-资源模型中的作用. 第18届全国心理学大会, 2015年10月18日，天津. 冯婉秀, 温忠麟. 认知风格对大学生情绪创造力的影响——创造风格的中介作用. 第18届全国心理学大会, 2015年10月18日，天津. 顾红磊, 温忠麟. 项目表述效应的检验与控制——基于双因子模型的视角. 第17届全国心理学大会, 2014年10月11日，北京. Wen. Z. School-based assessment in HKDSE: Is the statistical moderation method disadvantageous for students from weak schools? 40th IAEA conference, Singapore, 27 May, 2014. 顾红磊, 温忠麟. 双因子模型: 多维构念测量的新视角. 第16届全国心理学大会, 2013年11月3日，南京. 麦玉娇, 温忠麟. 青少年网络非适应性认知的调节模型：社会支持和应对方式的缓冲作用. 第16届全国心理学大会, 2013年11月3日，南京. Wen. Z., Hau, K. T. Goodness of fit measures in structural equation modeling. 28th International Congress of Psychology, Bejing, 12, August, 2004. Wen. Z., Hau, K. T. Internal/external frame of self-concept reference: A comparison between vocational and comprehensive high school students in China. The Third International Biennial SELF Research Conference, Berlin, Germany, 5 July, 2004.